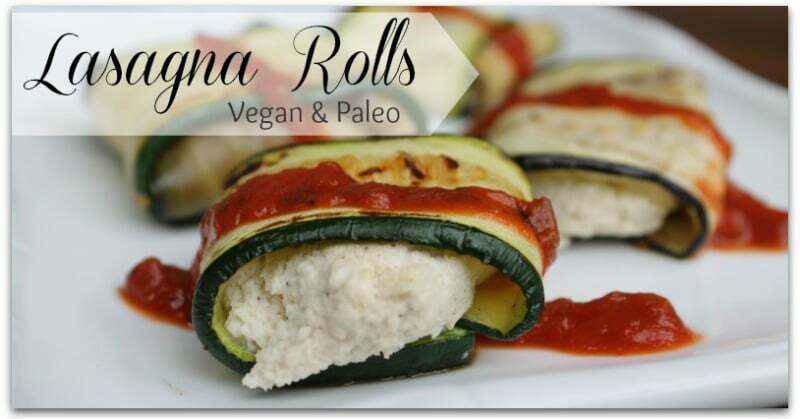 These lasagna rolls would be a wonderful vegan paleo appetizer to serve at a dinner party or to bring to a potluck. They're sure to be a hit! As I sit down to write this I just finished 4 of these incredible lasagna rolls. 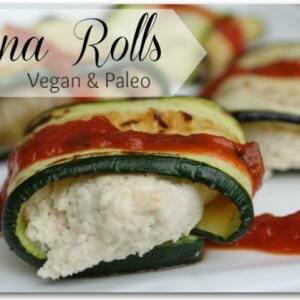 These lasagna rolls would be a wonderful vegan paleo appetizer to serve at a dinner party or to bring to a potluck. They’re sure to be a hit! 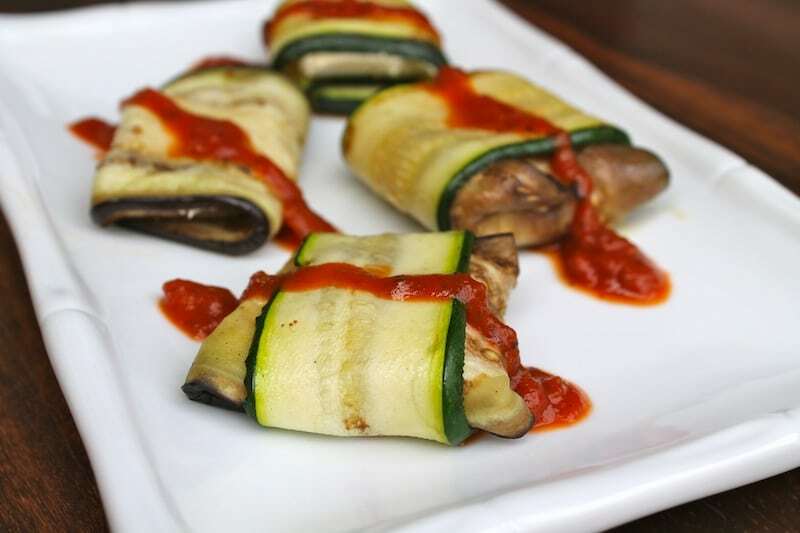 Instead of using wheat-based pasta or some type of grain to roll these up, I used health vegetables like eggplant and zucchini. They are sturdy yet pliable, so they make a good lasagna noodle type wrap. Instead of ricotta cheese, I made a cheesy spread from cashews! 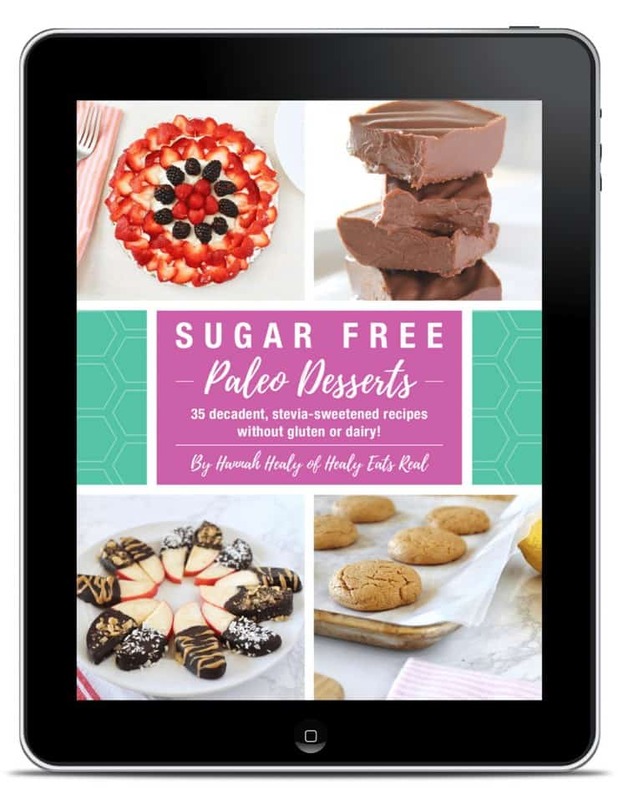 Top it off with some tomato sauce and you have yourself a delicious paleo, keto and vegan appetizer. Soak cashews in water and sea salt for 8-24 hours. You can leave it to soak overnight if you want. Drain the water from the cashews. Put soaked cashews in a food processor or strong blender (like vitamix) along with garlic powder and salt. Blend until creamy. If you want it to be a little thinner you can add a little more water. Store in a jar in the fridge. 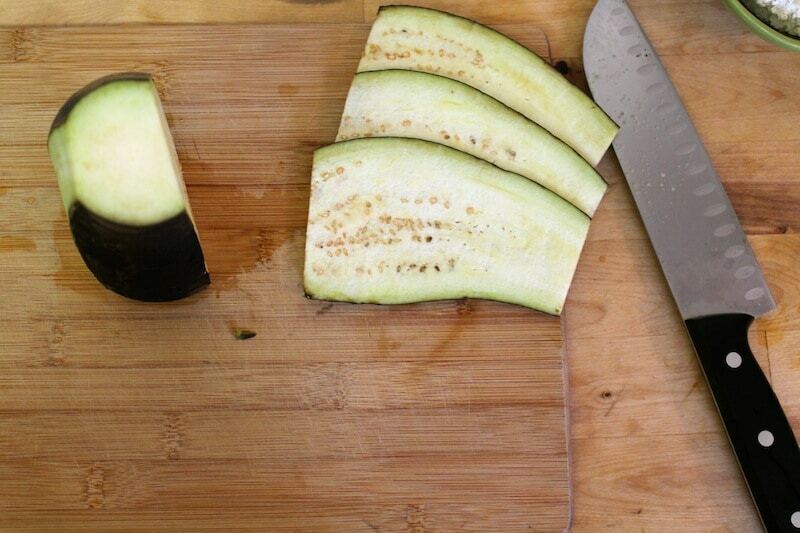 Thinly slice the eggplant and zucchini lengthwise (see photo below for example). Sprinkle salt over the slices and place salt side down on a paper towel. 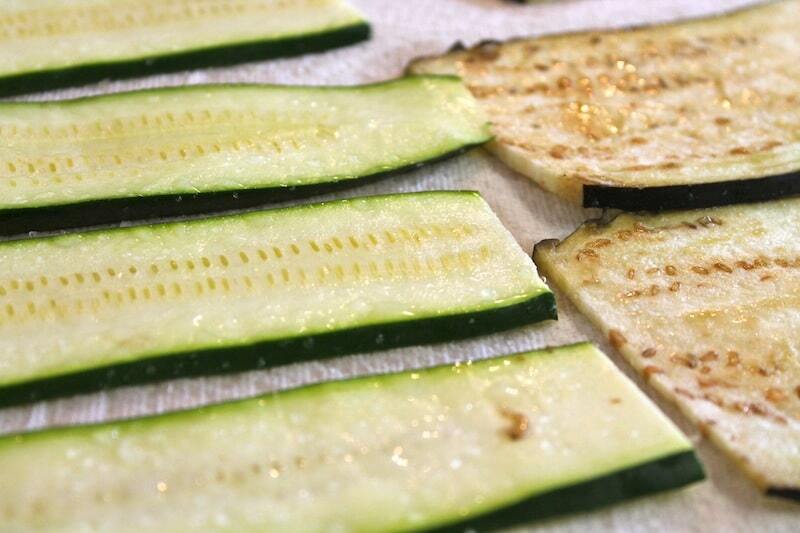 Sprinkle salt on the other side of the slices and let sit for about 10 minutes. 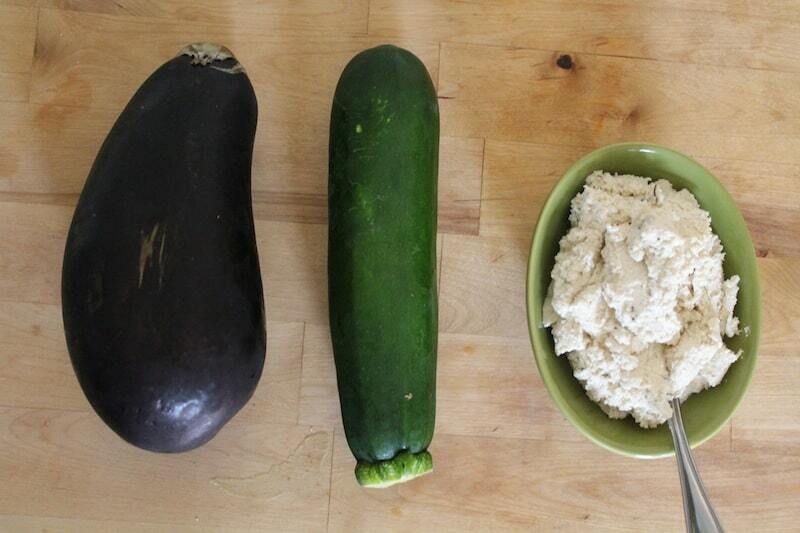 This will draw the water out of the eggplant and zucchini. 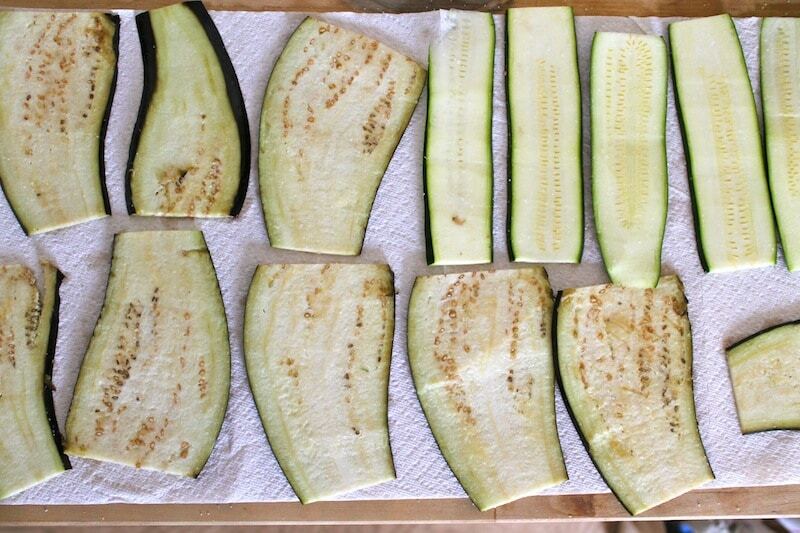 Get another paper towel and dab the moisture off of the eggplant and zucchini until it's dry. Heat oil in a skillet on high. 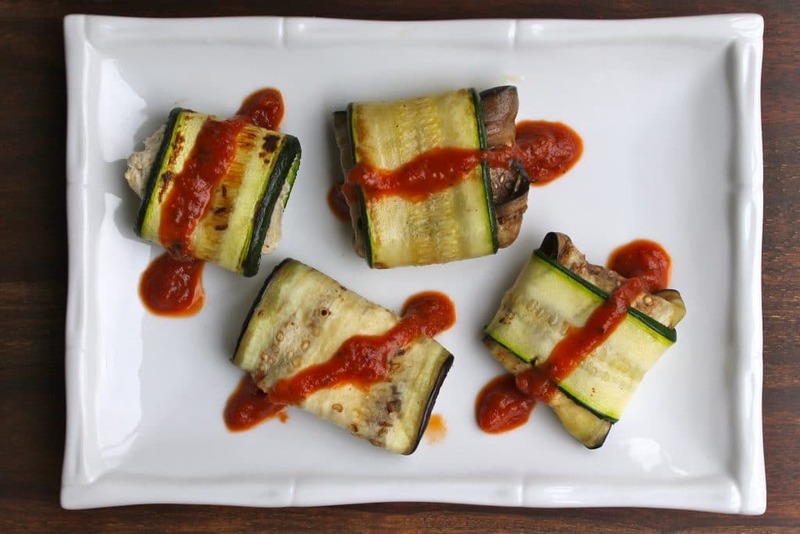 Once the oil is hot, place the eggplant and zucchini slices in the pan for about 1-2 minutes on each side just to let it brown and cook a little. Set cooked slices aside until you've seared all of them. Once they are all cooked, take one slice and put about 1 tbsp of the cashew cheese in the middle of the slice, then fold it over to cover the cheese and put on a plate. 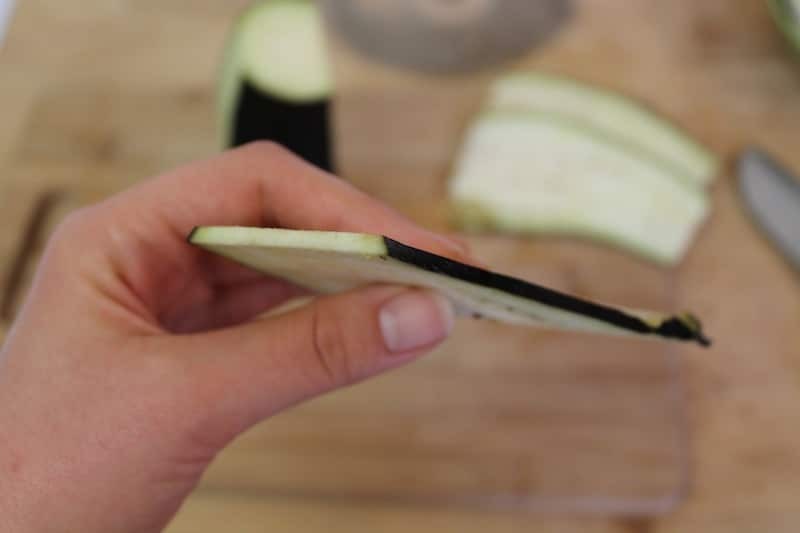 If you want, you can double wrap the cashew cheese with a slice of eggplant and a slice of zucchini or you can just do one slice for each, it's up to you. 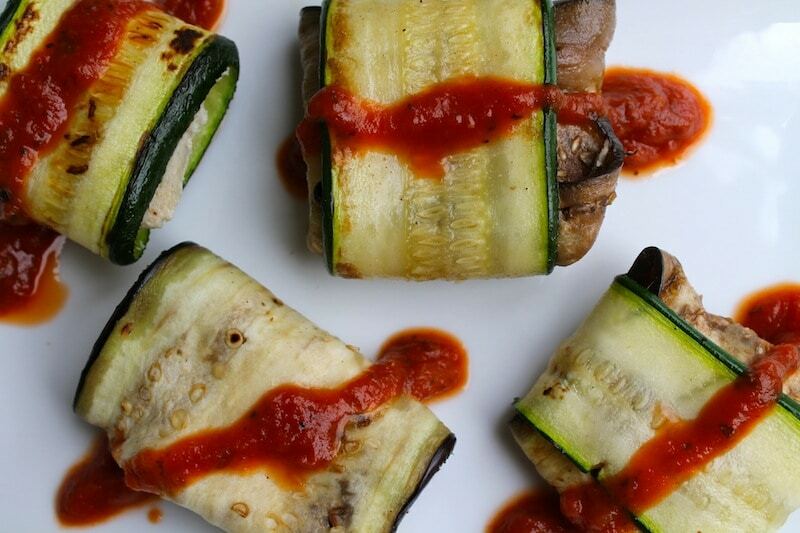 Once all of the slices have been used take about 1 tsp of organic tomato sauce and drizzle over each roll. Sprinkle salt, pepper and herbs to taste and serve! LOVE this. 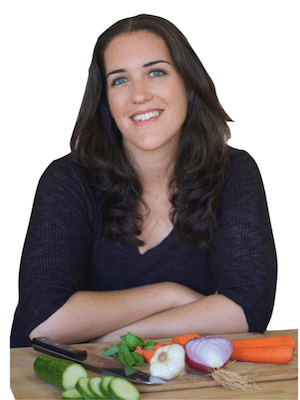 Pinning – great recipe, Healy!!! Can you replace cashew cheese with almond feta?